Depreciation is supposed to be provided because an asset is bound to undergo wear and tear after using it for a period of time. As a result of this, the working capacity and effectiveness of the asset will be reduced. Therefore, this should reflect the value of the asset, at which it is carried in the books of accounts. Furthermore, every asset becomes obsolete over a period of time, as new and enhanced technology and innovation take over. The value of the asset will decrease over time and this must be recorded in the books of Account. It is ideal to provide depreciation in order to comply with the matching principle of accounts. The Matching principle states that the expense of a period must be recognized in the same period in which we recognize it’s revenue. So an asset which generates income must be depreciated as per given provisions. Depreciation is an expense and becomes an important element of the cost of production. Though it is not visible like other expenses and never paid to the outside party yet it is desirable to charge depreciation on fixed assets as these are used for earning purposes; so their depreciation must be deducted out of the income earned from their use in order to calculate true profit net or loss. Financial position can be studied via the balance sheet and for the preparation of balance sheet fixed assets are required to be shown at their original value. If assets are shown in the balance sheet without any charge made for their use or depreciation, then their value must have been overstated in the balance sheet and will not reflect the true financial position of he business. Therefore, for the purpose of reflecting true financial position, it is necessary that depreciation must be deducted from the assets and then at such reduced value these may be shown in the balance sheet. If depreciation is not provided, the profits of the concern will be overstated and can be distributed to the shareholders as dividend. After the end of the working life of the asset, there will be no provision or funds at the disposal of the concern and hos to borrow for purchasing new assets. 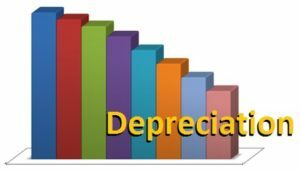 Provision for depreciation is a charge to profits and loss account though depreciation is not paid. The amount of depreciation accumulated during the working life of the asset provides additional working capital besides providing sum at the end of the working life of the asset for its replacement. f) To maintain the original monetary investment of the asset intact.